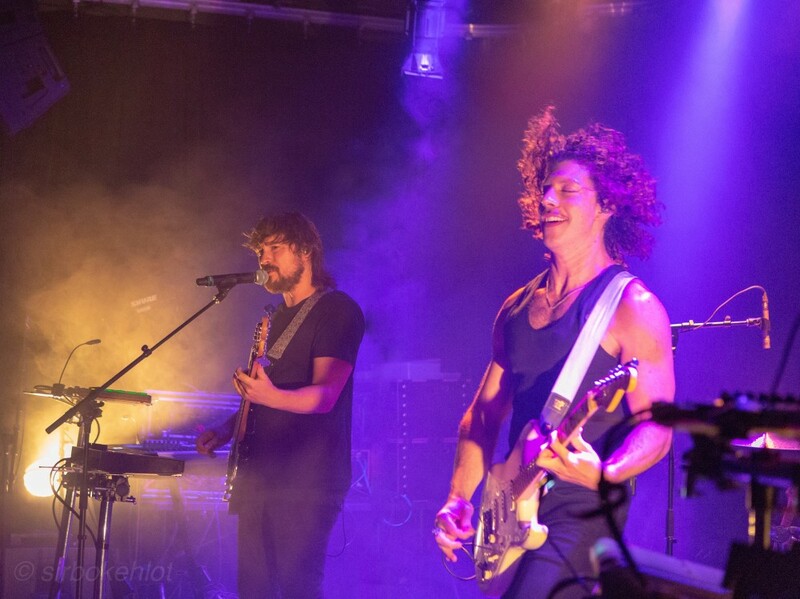 Australian electro pop duo Peking Duk played the super tiny club Le Ministère in Montreal, Quebec Friday night. They were supported by Michaela Baranov and Coyle Gireli alternating lead vocals. Girelli was also the opening act playing a mix of songs from past works and his soon to be released first solo album Love Kills. Despite its small size the crowd erupted into an epic dance party as soon as Peking Duk took the stage, opening with their hit “Wasted.” Much of the crowd sang along to every song. The band came out into the crowd a few times, including during their cover of “7 Nation Army,” always a crowd pleaser. From the few direct interactions with other people in attendance it was clear that Peking Duk attracts fans from all over the world.